Manchester City, Liverpool, Tottenham: What's next in the title race? With the Premier League title race taking a breather for two weeks, we assess what's next and answer all the key questions. 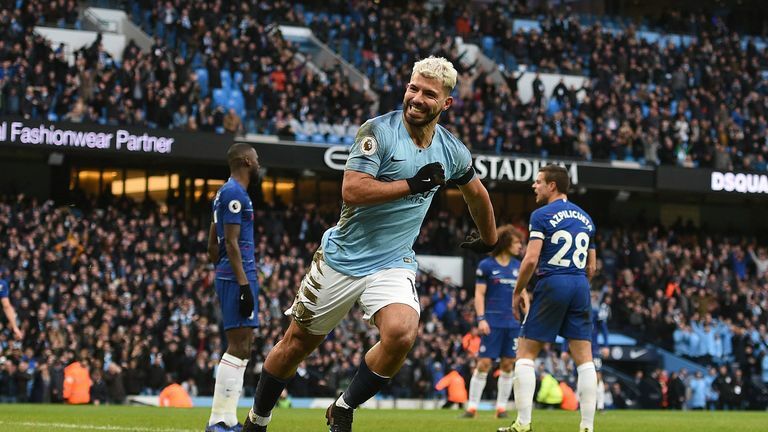 Manchester City retook top spot on goal difference from Liverpool on Sunday night with a rampaging 6-0 win over Chelsea but Liverpool have a game in hand over last season's league champions. Meanwhile, Tottenham are just five points back, also carrying a game in hand over City. It's looking increasingly likely we could be witnessing one of the most exciting title races in recent Premier League history. Liverpool have, on paper, the most straightforward run-in - their opponents have an average position of 11.8. Unlike the other two, they still have fixtures to play against Huddersfield and Fulham, who are becoming near-certainties for relegation, while they also are still to face Burnley (h), Cardiff (a), Southampton (a) and Newcastle (a) - all of whom are struggling towards the bottom of the league. Tottenham's run-in appears the trickiest. The teams they face are on average a whole position higher than their title rivals' opponents, at 10.7. Plus, they still need to travel to both Liverpool and Manchester City. Of their 12 remaining games only four are against teams in the top eight. Three are away, while Man City and Liverpool travel to one top-eight team each, and Spurs' sole home game against a 'big six' club comes against arch-rivals Arsenal on March 2. When do the top three play each other? It's worth putting a ring around March 31 and the weekend commencing April 20* in your diaries. Tottenham's title challenge will most probably be made or broken with games against the top two. They face Liverpool on March 31 while there could be a big swing if they can stay on Manchester City's coattails ahead of their fixture at the Etihad in that aforementioned weekend in April. "City have put a marker down. Liverpool are going to have to win every single game to win this league. City have the bit between their teeth right now. "If that is their form between now and the end of the season, Liverpool have to win every game. That's what they're looking at." "You look at it now with regards to points totals and whoever does finish second, how unlucky are they going to be? What City have done is they've got through their week where if you are Liverpool, you're looking at it and it's Arsenal and Chelsea - two big hitters - and Everton away, not an easy game. "But they've got nine points - and now Liverpool have their big week where City will be thinking: 'Manchester United away, Watford at home and Everton away'. "If you look at the size of Liverpool and the fact they haven't won the title in so long, there is an air of desperation at the club to win the title. A few weeks ago they were seven points clear and when Manchester City lost at Newcastle you thought it was there - what an opportunity for Liverpool that was. They still have that chance, but it has become a lot more difficult in the last week.